Cider Mill Press, 9781933662428, 80pp. 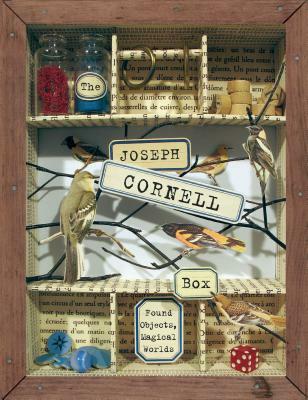 Working with found objects, pages from old books, and dime-store trinkets, self-taught artist Joseph Cornell (1903-1972) transformed everyday materials into extraordinary universes. By collecting and carefully juxtaposing his treasures in small, glass-front boxes, this pioneering artist invented visual poems exploring themes as varied as the night sky, the romantic ballet, glamorous movie stars, and bird habitats. A lavishly illustrated and collaged book presents Cornell's life and art, his sources of inspiration, and artistic process, along with six project ideas. Housed in a sturdy keepsake box with a see-through front window and removable grid, the package also includes materials to jump-start the creative process--printed sheets for collage, a metal ring, antique tags, and a magnifier.